Be a Christmas Cracker, not a Christmas Pudding! Everyone wants to have a good time over Christmas and New Year – but how to cope with all the extra food and drink? Is it possible to enjoy the festive season without piling on the pounds? The short answer is yes! Jenny Craig has helped more than 5 million people in the US, Canada, Australia and New Zealand manage their weight over the past 10 years – and now they can help Brits too! As Christmas approaches, the Jenny Craig consultants will be advising their clients how to deal with seasonal temptations. Here they share some of their top tips so everyone can be a Christmas cracker, not a Christmas pudding! •	Plenty of traditional Christmas Day foods are very healthy and low in calories, so fill up on turkey meat (no skin), sprouts, carrots, smoked salmon and fruit with a few nuts. •	Don’t overindulge in the roast potatoes, Christmas pudding and mince pies – fill up on the good stuff, just a little taster of these should suffice. •	Don’t be tempted to skip meals – start the day with breakfast. Six small meals and snacks throughout the day will keep dieters satisfied and fuel their metabolism. If people skip them, they’ll make themselves hungry and be tempted to eat more of the wrong foods. •	Ask people not to buy foodie presents – ask for other things that can help people feel indulged without consuming excess calories. •	No-one expects dieters to have an alcohol free Christmas, but don’t forget that alcoholic drinks can be quite calorific. Alcohol can also lower one’s resolve, leaving people more likely to say “pass the nuts and chocolate” – so just go steady! A good choice is a spritzer made with half wine and half soda water. 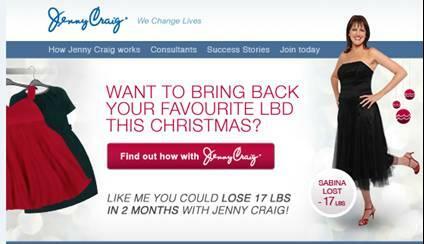 •	Don’t leave calorie rich Christmas leftovers sitting around. Turn them into a new meal or give them away. •	Don’t forget to stay active. Taking the family for a walk is a great way to be active and spend great time with the loved ones. As well as toning and keeping the metabolic rate going, exercise can help to fight the extra stresses that this time of year brings. •	Don’t worry if one day doesn’t go according to the diet plan. Shake it off, think about why it happened, and then get right back on track. •	Everybody needs some ‘me’ time – but instead of treating yourself with food, try a manicure, a long hot bath or a long chat with an old friend. This press release was distributed by ResponseSource Press Release Wire on behalf of Arena Media in the following categories: Health, Food & Drink, for more information visit https://pressreleasewire.responsesource.com/about.